Remain accessible to your customers 24 hours a day by using on-call answering services from Absent Answer. Whether you are an IT support company, a medical practice, or an emergency service company like a plumber or electrician, you know how difficult it can be to be in an industry where you have calls coming in 24 hours a day, but unfortunately, don't always have the people available to answer the calls and provide quality customer service. Luckily, we provide on-call services that are 24-hour answering services for a variety of companies with 24-hour work needs and services. From answering and dispatching calls around the clock, to ensuring that there is a qualified and professional customer service representative available to take care of needs no matter the time of day, we help companies save money, improve efficiency, and get out to more calls throughout the day and night. Customers hate automated phone trees and voicemail systems. Why use cold technology when you can give your customers a live voice? Your on-call personnel don't want to deal with every single call that comes in -- only those that require their attention. Our call routing system can ensure only the right messages reach your on-call staff. The last thing your callers want is to be put on hold. Prolonged hold times damage your brand and frustrate customers. Let our on-call call center help you eliminate lengthy hold times and reduce the risk that your customers hang up or take their business elsewhere. Hiring employees to handle your on-call answering service needs would be an expensive expansion. With Absent Answer, you can ensure there’s always someone there to pick up the phone without increasing your payroll. 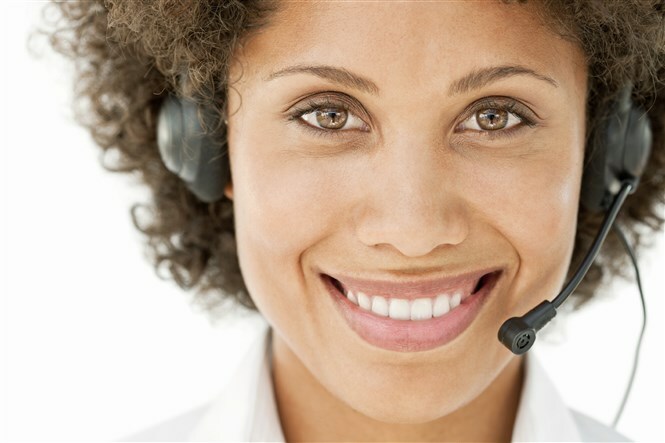 Having Absent Answer serve as your on-call answering service is easier than you think. It’s as easy as establishing your account instructions, training our team, and then forwarding your phone lines whenever you want our agents to answer calls and triage messages for your on-call team. You can turn your calls over to Absent Answer at the same time every evening when your office closes for the day, during holidays when the office is closed, during busy periods, or on demand. We’re there to answer whenever your business needs us. A caller dials your regular office phone number. This could be someone with an after hours emergency, a general customer service inquiry, a prospective customer, or any type of call you may expect. Instead of ringing your office line and going to voicemail, your calls would be routed to our friendly call center agents, who see that the call is for your business and answer accordingly. There’s no one-size-fits-all approach to handling on-call service requests, so our team is armed with your precise instructions and ready to handle each call per your expectations. We can connect the caller to a specific on-call technician, take a message, or complete routine tasks directly over the phone. Our service makes it so that our professional call response personnel are available around the clock, and 365 days per year. Companies pay us for the time they use, too, and not every hour we are available, as you would have normally paid a typical employee. For that reason, we can provide much greater service and better response needs for far less money. Additionally, we employ professional operators who can communicate with companies on-call staff however you prefer, and in whatever way works best for your company, whether it’s text messages, emails, phone calls, pages, or any other communication method to touch base. First and foremost, when you use our service, your company can save money and reduce costs, not having to pay 24/7 phone personnel and employees, and only paying for the time and service you use each week. Additionally, our work can ensure that your company provides callers and customers with superior customer service and addresses their needs fully, giving them the opportunity to have customer service questions answered and service needs more focused across the board. Furthermore, companies can re-focus their existing on-call personnel, and give them an intermediary that can either help lighten their workload, or re-focus their position all together to improve efficiencies within your firm. In addition, your company can greatly improve response time when it comes to addressing and treating calls through all hours of the day or night, as our service works to make life easier for both your own specific and unique needs, and the needs of your clients and their specific problems and concerns. When it comes to questioning whether or not to hire an on-call service, the benefits and positives of the relationship greatly outweigh the concerns or issues. Use our on-call service to both make your life easier as a business owner or contractor, and make the lives of your customers easier as we take care of phone care personnel and customer service all hours of the day or night. If you are an industry that requires 24/7 phone personnel, our service is a necessity when it comes to improving your business processes and more. We look forward to working with you!